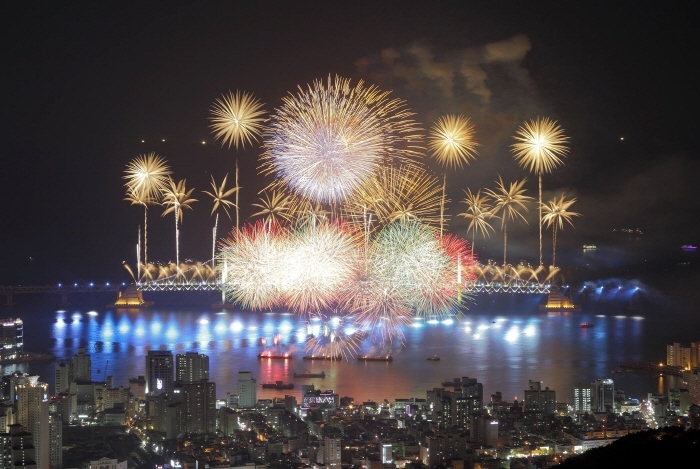 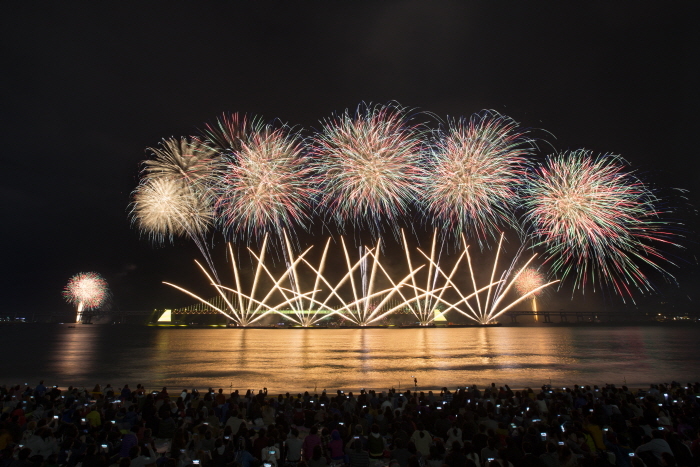 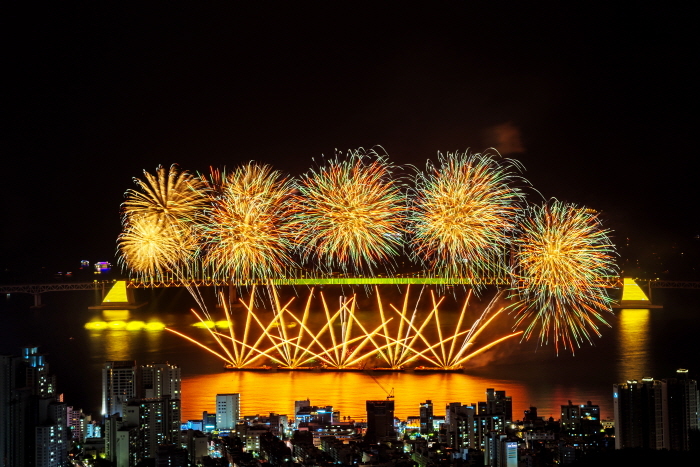 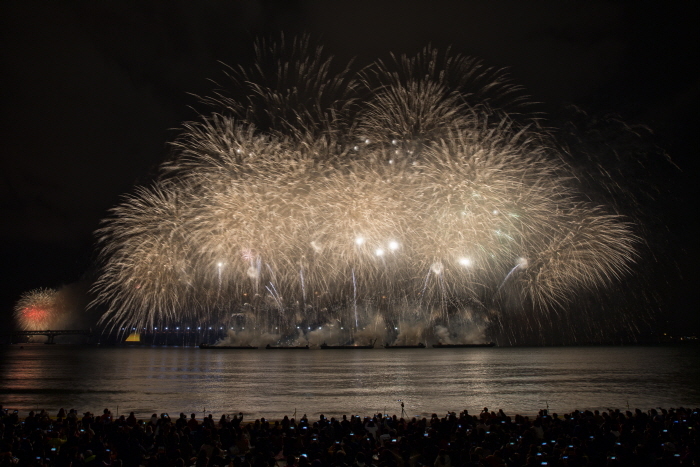 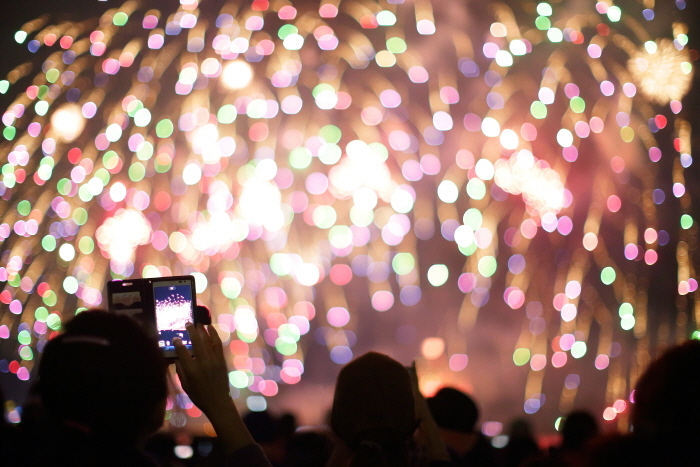 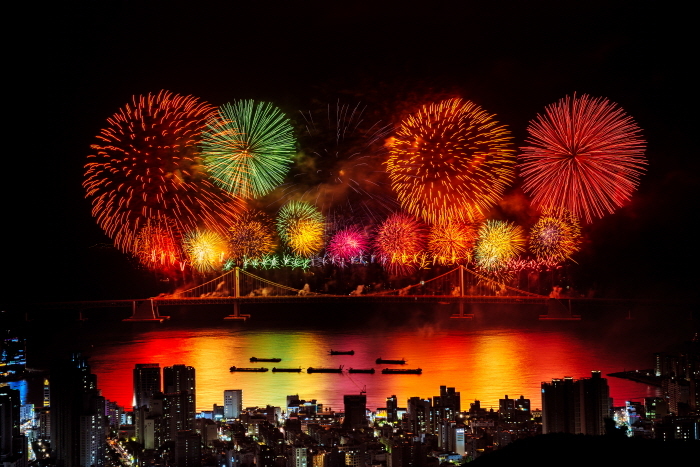 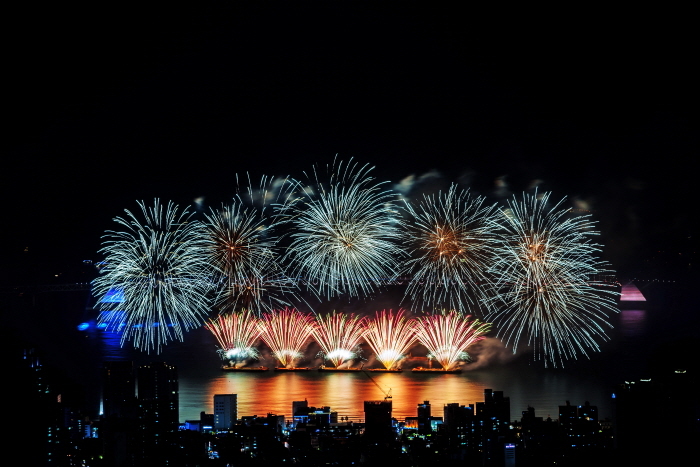 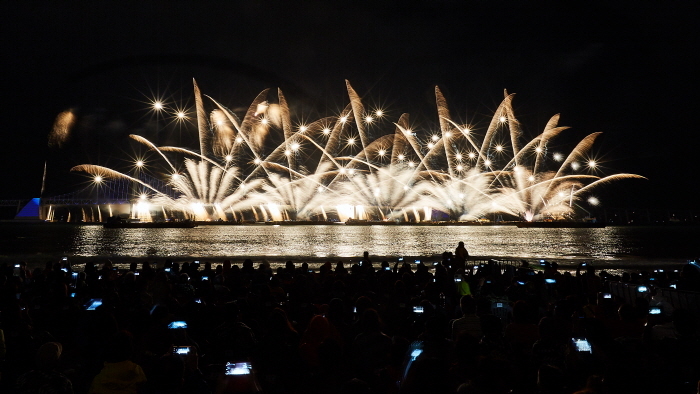 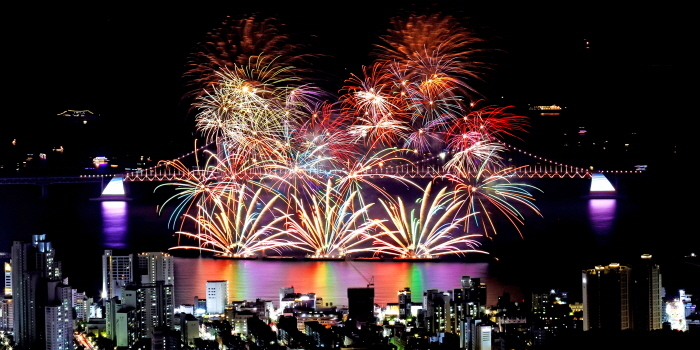 Busan Fireworks Festival takes place every October along Gwangalli Beach. 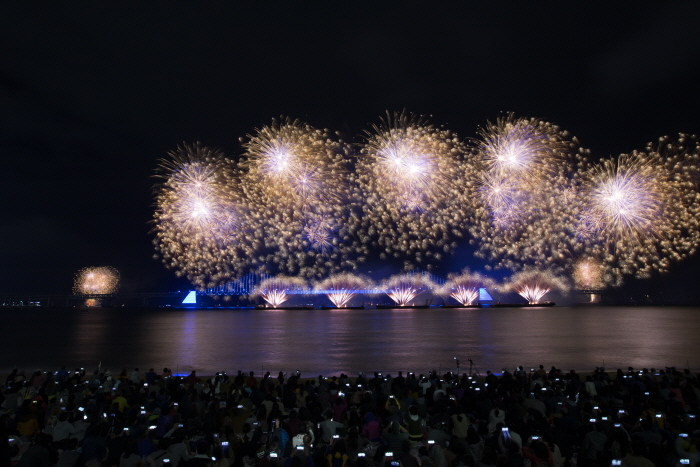 The festival’s diverse programs of cultural events, high-tech laser light shows, and myriad of unique and colorful fireworks make this one of the area’s most popular festivals, drawing crowds of over 1 million visitors each year. 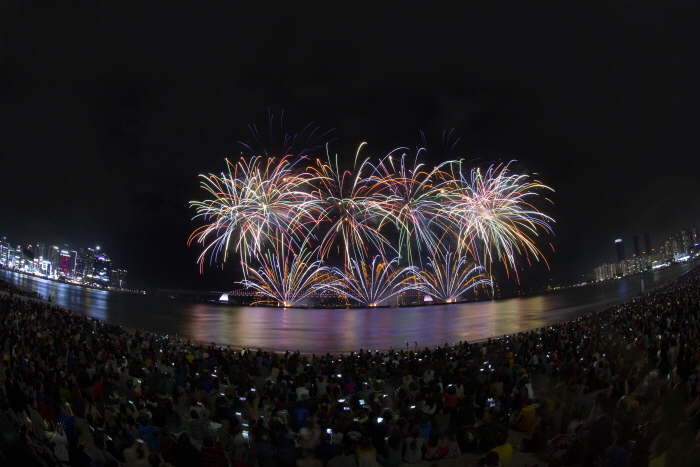 Although most people flock to the beach for a closer view of the festivities, nearby Hwangnyeongsan Mountain also offers a great view of the fireworks. 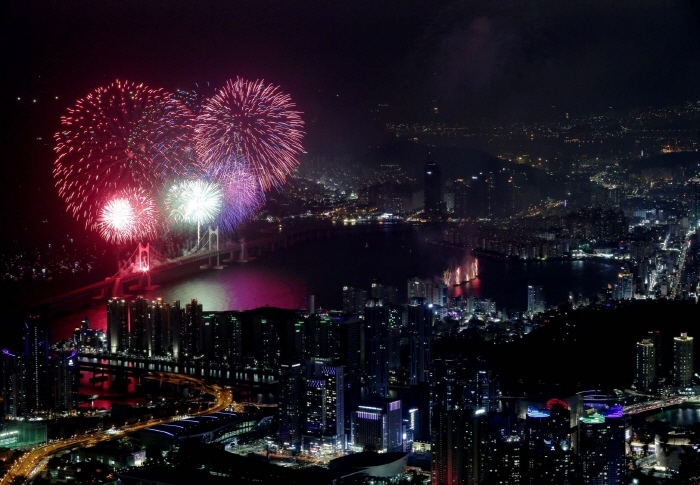 Geumnyeonsan Station (Busan Subway Line 2), Exit 1 & 3.